American Pancake: Believe EP by World Tour- Gerhardsson, Kjaergaard and Ostersund create dreamy sounds that are dream inducing. 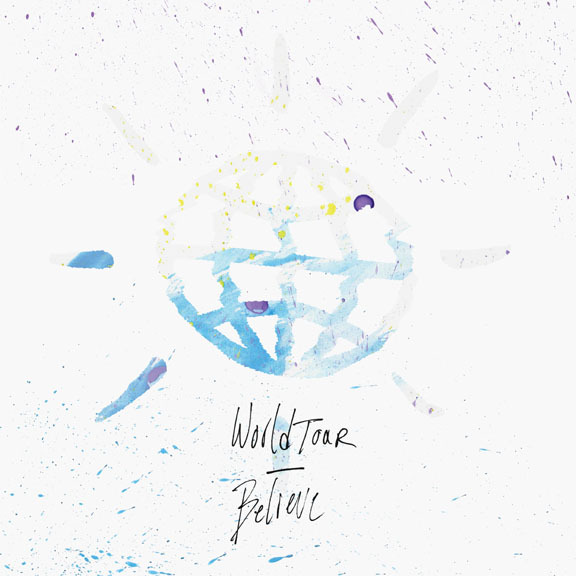 The 'Believe' EP by World Tour (Felix Hedberg, Tobias Gerhardsson and Merike Kjaergaard from Östersund, Sweden) blends 80's electronica, tropical post punk, and percussive dream pop that feels majestic and, dare I say, romantic. Songs like Too Far with the boy girl vocals and dreamy steel key bed could be a slow dance in a John Hughes teenage angst movie. In the Woods sways you in it's embrace of swirling synth and guitar lines. It has an epic, hopeful feel. Believe builds on a repetitive keyboard line (almost to the point of discord) and then is saved by a well orchestrated blend of percussive keyboard, reverb washed vocals and subtle drums. See (one of my favorites) is as dreamy as can be. The vocal performance feels like bygone memories of things that were or could of been. The xylophone-ish sounds and overall droning synths only enhance the mist of sounds that wrap around you like a thick seaside fog. World Tour create evocative soundscapes that, at times, are so dreamy as to be dream inducing. They are more like aural Rorschach tests that beg you to pull your own distant memories on top of them. Listen to 'Believe' and see where it takes you.